Beginning on Thursday, March 29, 2012 John Jermain Memorial Library users will be able to download the complete series of Harry Potter books to their computers or mobile devices from Live-brary.com, our digital branch. 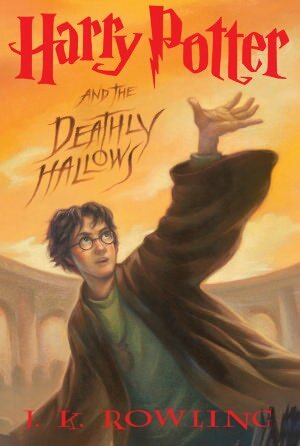 These seven popular titles by author J. K. Rowling, will be available to download, at no cost, from Live-brary.com. The titles will be available as both digital books and audiobooks. “The Harry Potter series is universally known, read, and reread by both children and adults” said Susann Farrell, Head of Children and Young Adult Services at John Jermain. “The seven title series has sold over 450 million copies, making it the best-selling book series in history. It is great that both children and adults will now be able to read the series on their eReaders” added Ms. Farrell. If you’ve recently purchase or been given an e-reader and need some assistance with downloading books from our digital branch, we’d be happy to show you how its done. Please call 631 725.0049 and speak to either Eric Cohen (ext. 237) or Sue Mullin (ext. 232) to schedule an appointment for a demonstration.